Location: Rimini Expo Centre, Via Emilia, 155 47921 Rimini, Italy. 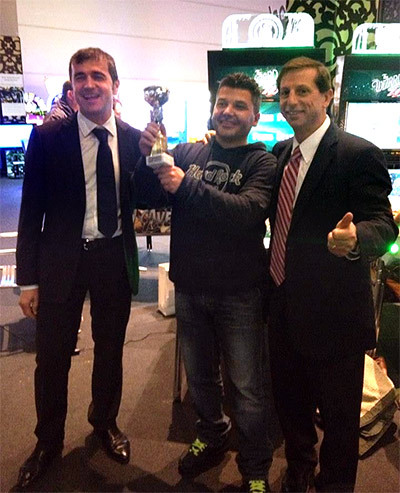 The pinball tournament held at the spring Enada Spring show in Rimini ended with the success for Mario Anzini. 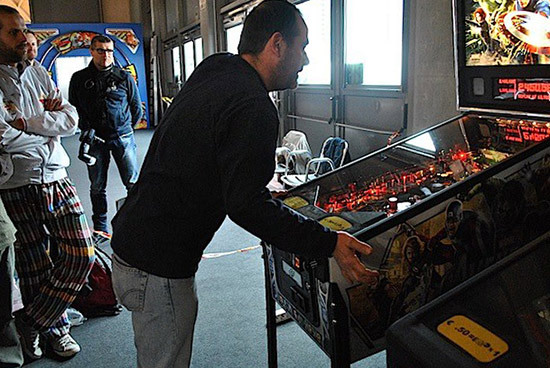 The player from Verona beat Mauro Spiga from Padua in the head-to-head final and also won a place in the Italian national pinball team - the Tecnoplay Team - booking himself a first class flight to represent Italy at the World Cup held in Frankfurt from May 29th to June 2nd. 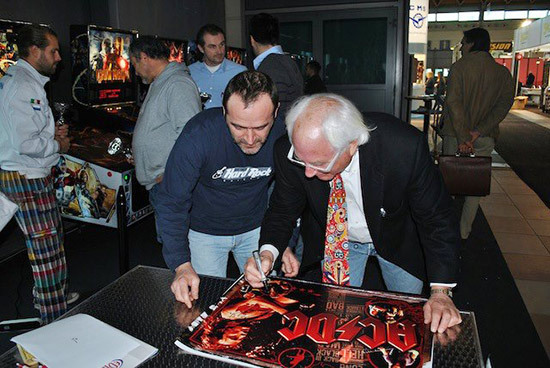 The Enada Spring Tournament this year was a very good event, with three days of competitive pinball. 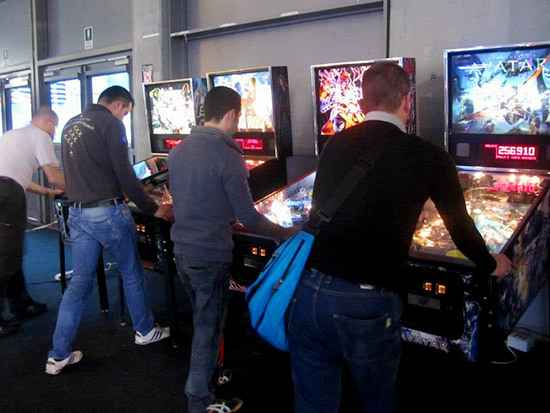 There were two sides tournaments over the first two days - one on the new Jersey Jack Pinball game The Wizard of Oz, and another on the last Stern Pinball game, The Avengers. 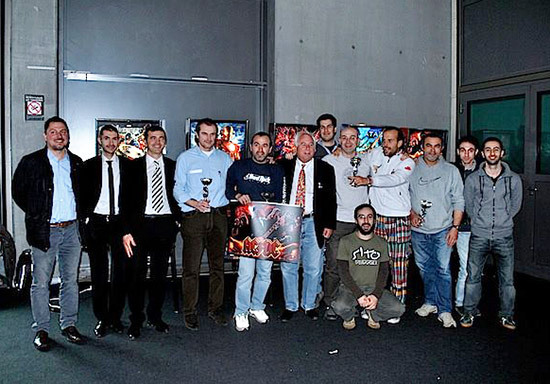 In addition, the main tournament developed over both days. On The Wizard of Oz, Alessandro Rea took the win ahead of Matteo Filippin, while the next day Nicola Pierobon took the win on The Avengers with Paolo Gogni in second place. 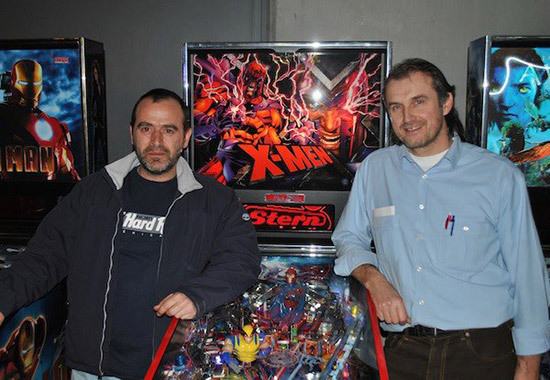 The main tournament was played on five Stern machines: The Avengers Pro, Iron Man, Avatar, X-Men Magneto LE and AC-DC Pro. 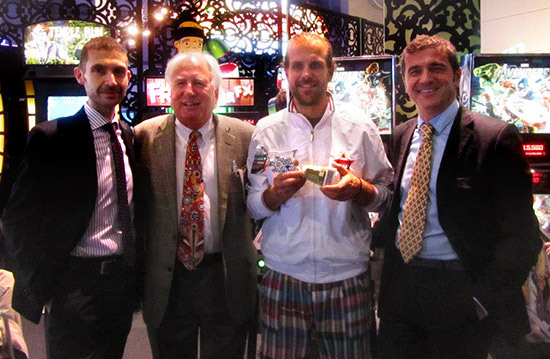 The last four players contending the victory were Anzini, Spiga, Pierobon and Trere’, with Anzini prevailing over Pierobon, and Spiga over Trere’. 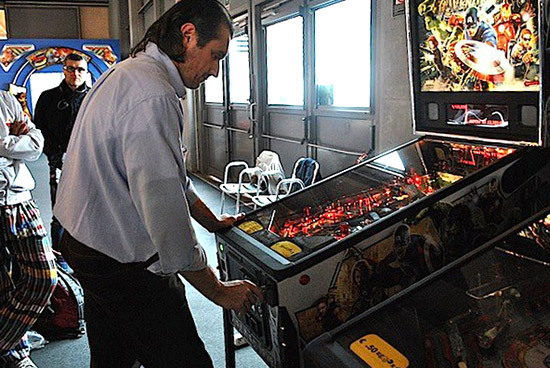 The final match was played on the latest Stern pinball machine based on The Avengers where Mario Anzini won, overcoming Spiga by less than 100,000 points. 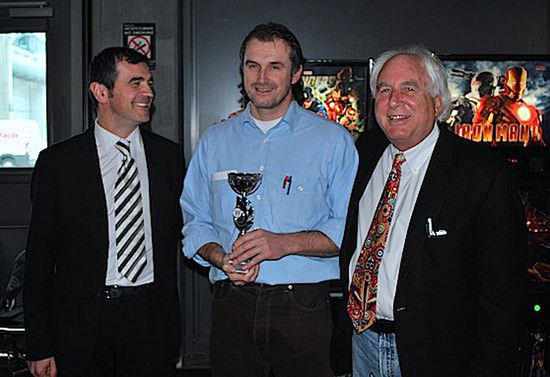 Nicola Pierobon took the third place. 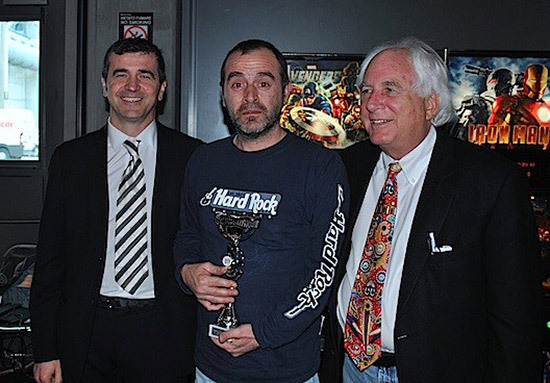 Obviously Mauro Zaccaria of Tecnoplay - the company that supports the Italian national team and leader in pinball machines in Italy - Gary Stern - a true prophet of the game, and president and founder of the legendary Stern Pinball - and Alessio Crisantemi - skilled journalist and president of IFPA Italy - attended the award ceremony, with trophies and AC/DC translites signed by Gary Stern. 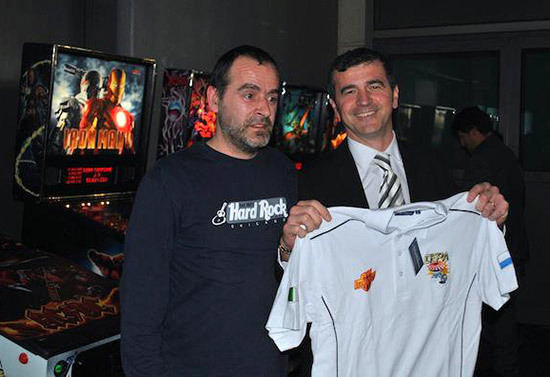 Good moments, especially when Tecnoplay gave Mario Anzini the Italian national team T-shirt for the upcoming IFPA World Championship in Frankfurt, where Mario will represent Italy along with the former champion Daniele Acciari.